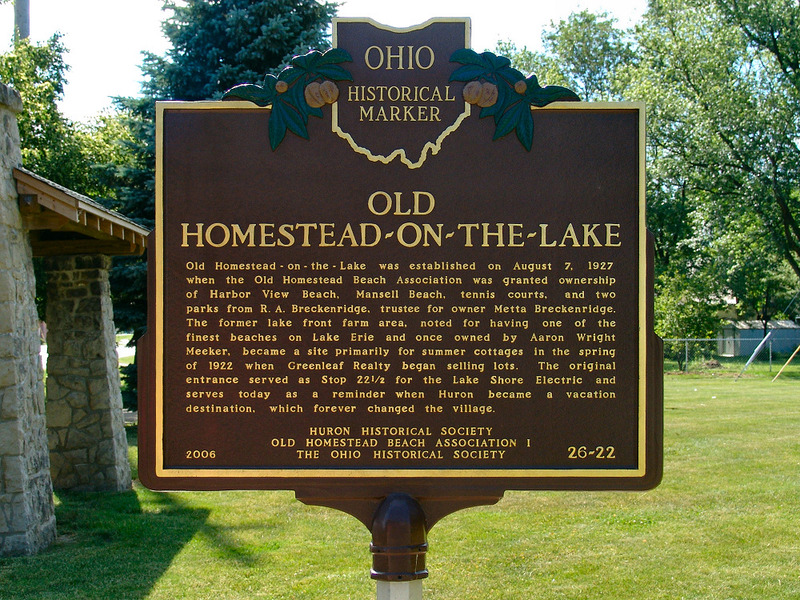 Old Homestead-On-The-Lake was established on August 7, 1927, when the Old Homestead Beach Association was granted ownership of Harbor View Beach, Mansell Beach, tennis courts, and two parks from R. A. Breckenridge, trustee for owner Metta Breckenridge. The former lake- front farm area, noted for having one of the finest beaches on Lake Erie and once owned by Aaron Wright Meeker, became a site primarily for summer cottages in the spring of 1922 when Greenleaf Realty began selling lots. The original entrance served as Stop 22 1/2 for the Lake Shore Electric and serves today as a reminder when Huron became a vacation destination, which forever changed the village. 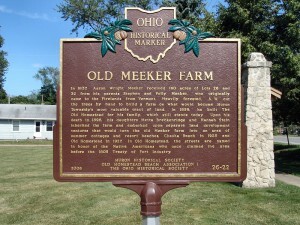 In 1837, Aaron Wright Meeker received 160 acres of Lots 26 and 32 from his parents Stephen and Polly Meeker, who originally came to the Firelands from Vermont. Heavily forested, A. W. cut the trees by hand to build a farm on what would become Huron Township’s most valuable tract of land. 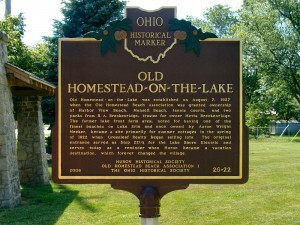 In 1859, he built The Old Homestead for his family, which still stands today. 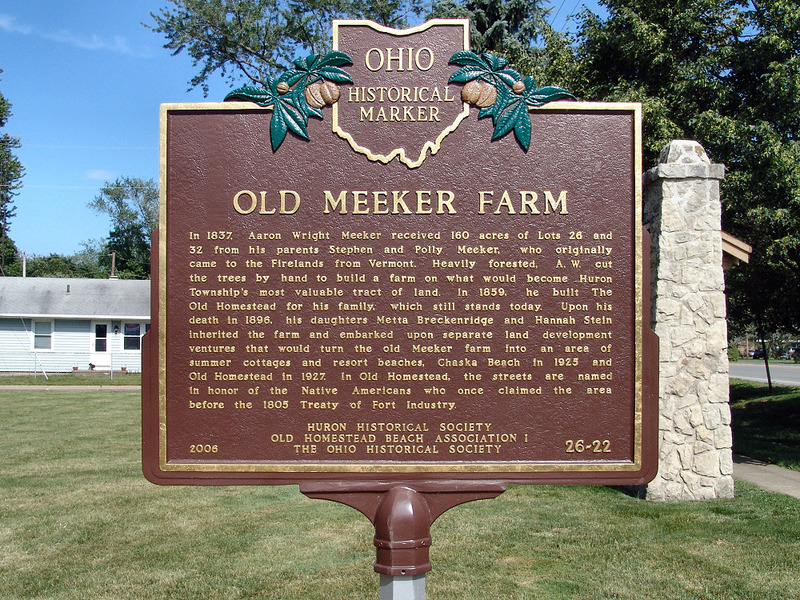 Upon his death in 1896, his daughters Metta Breckenridge and Hannah Stein inherited the farm and embarked upon separate land development ventures that would turn the old Meeker farm into an area of summer cottages and resort beaches, Chaska Beach in 1925 and Old Homestead in 1927. In Old Homestead, the streets are named in honor of the Native Americans who once claimed the area before the 1805 Treaty of Fort Industry.